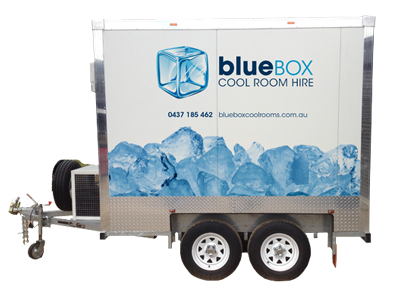 Blue Box Cool Rooms provide superior, economical and reliable portable freezers for either short or long term hire. Blue Box Cool Rooms is proud to service the Geelong Region, Surf Coast, Bellarine Peninsula and Melbourne Wide. Our freezer cool rooms are suitable for any occasion or event and will keep your food fresh and secured..
Blue Box Cool Room Freezer Hire provides a professional service at an affordable price, 7 days a week. All cool rooms are clean and sanitised and meet all Australian safety standards. Blue Box Cool Rooms can service the following areas. If you are located in an area not listed please contact us because we may be able to help you. If you have any questions please don’t hesitate to contact us on 0437 185 462 or email us info@blueboxcoolrooms.com.au we would be very happy to answer any questions you may have.